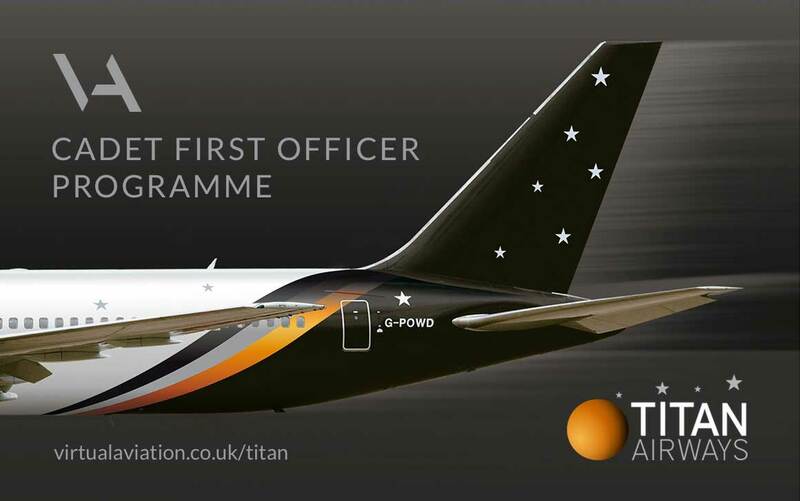 Titan Airways has launched a Cadet First Officer Programme for low-hours cadet pilots. It is a bonded cadet recruitment programme, where the cost of the Type Rating and Base Training will be funded by Titan Airways. Successful andidates will secure a conditional job offer from the airline at a much earlier stage in their training. The programme is open to pilots who hold a CPL ME/IR, including those who have not yet completed an MCC+JOC. Candidates who pass the rigorous multi-stage selection process will then spend a month with training provider VA, undergoing their enhanced AirlineReady MCC+JOC training, with the security of having a conditional job offer from Titan Airways before starting. Titan will oversee cadets’ progress throughout this stage of training. Providing they pass the final simulator-based evaluation, the cadets will be offered a First Officer position with the airline, and will be assigned to fly either the A320, B737 or B757.